Corker says tax reform will make health care look like a "piece of cake"
Retiring Sen. Bob Corker said Republicans' battle on tax reform will make health care look like a "piece of cake," and he won't vote for legislation that adds to the deficit — something the Trump administration's plan very well might. The Tennessee Republican, speaking to reporters on Capitol Hill, said there's a big difference from tax reform — actually overhauling the system — and tax cuts. Tax reform takes intestinal fortitude, and staring people down for the good of the country, he said. Tax cuts are simple, he said. 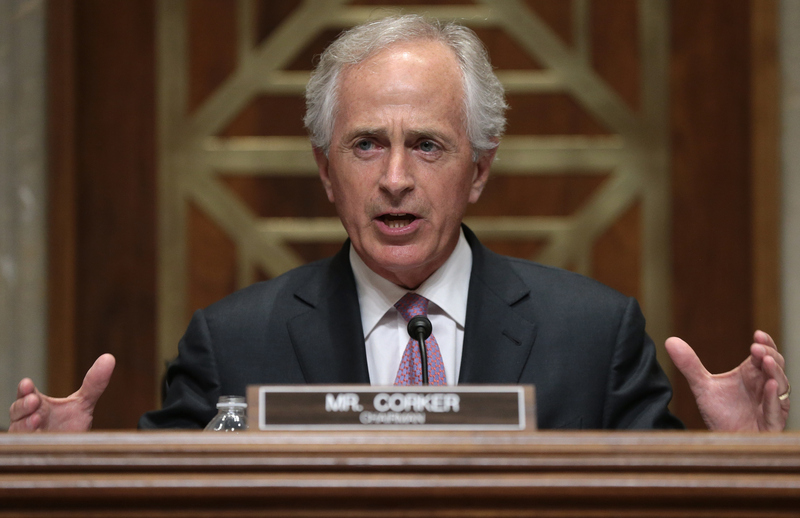 Corker sent shockwaves across Washington when he announced Tuesday that he will not be running for reelection next year. "Tax reform is going to make health care look like a piece of cake," Corker said. "If we do it the right way, it hasn't been done in 31 years." Corker said there's no way any legislation that adds to the deficit will pass, and there's certainly no way he would vote for such a bill. The Trump administration and Congress is looking to tax reform as its last-ditch attempt at a bill to repeal and replace the Affordable Care Act collapsed early this week. President Trump is announcing the details of his tax plan Wednesday afternoon. But the plan, which narrows the number of individual tax rates and tax deductions, and lowers corporate taxes, doesn't yet have any economic analysis attached to it ensuring it won't add to the deficit. The White House says it will be revenue-neutral, but only when economic growth is taken into account. "We are going to have a budget resolution from the House and the Senate, which is going to tell us how much we can add to the deficit," a senior administration official said on a conference call with reporters Tuesday. "I think I would repeat what the secretary has said several times and what others in the administration have said: that we strongly believe that when you account for the elimination of tax breaks, the base broadening, and the economic growth, that this is not going to add to the deficit; that it will be a deficit-neutral bill when economic growth is taken into account." However, the administration's economic growth assumption may be overly optimistic. The Washington Post reported Tuesday that the president "told a group of Democrats and Republicans on Tuesday that the tax framework could lead the economy to grow more than 6 percent a year." Maya MacGuineas, the president of the Committee for a Responsible Federal Budget, told CBSN Wednesday morning called that a "made-up number" and said, "It's just not going to happen." She pointed out that current growth is roughly two percent, which is lower than it's been in the past, but that's because the U.S. is an aging society, and its labor market won't grow as quickly as it has in the past. The president's growth estimate is double that of his economic advisers -- in April, Treasury Secretary Steven Mnuchin told reporters, "We believe we can get back to three percent or higher GDP" with the administration's nascent plan.